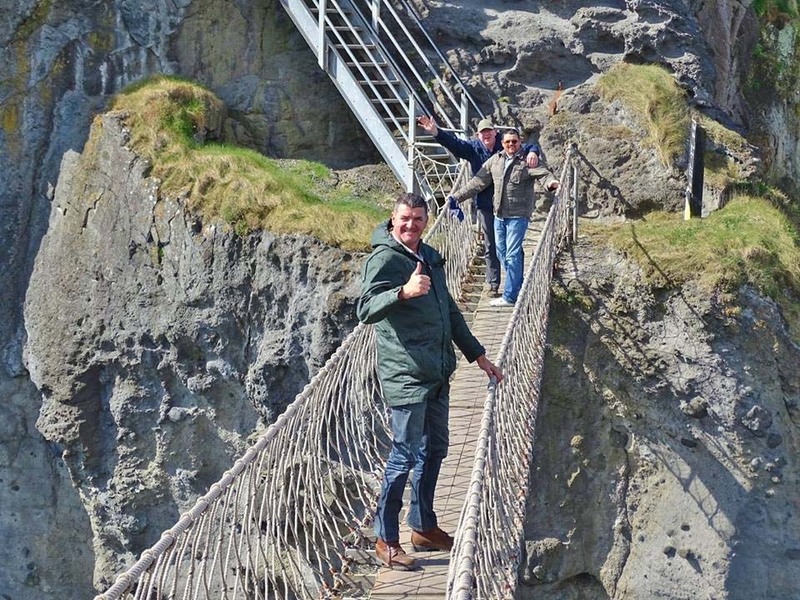 Carrick-a-Rede Rope Bridge is a famous rope bridge near Ballintoy village on the North Coast between Ballycastle and the Giants Causeway. The bridge links the mainland to the tiny island of Carrickarede (from Irish: Carraig a’ Ráid, meaning “rock of the casting”). It spans 20 metres and is more than 25 metres above the rocks below. It is thought salmon fishermen have been building bridges to the island for over 350 years. It has taken many forms over the years, in the 1970s it had only one rope handrail and large gaps between the slats. The bridge has had a few facelifts with the current wire bridge having been in place since 2008. The bridge is mainly a tourist attraction now and is owned and maintained by the National Trust and attracts around 400,000 visitors every year. The bridge is open all year round (subject to weather) and people may cross (if they are brave enough) for a small fee.